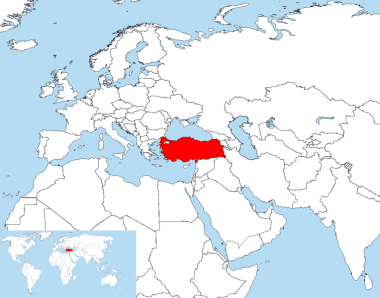 Turkey, officially Republic of Turkey, is a contiguous transcontinental country, located on Anatolia in Western Asia and East Thrace in Southeastern Europe. Turkey was established in 1923, with Atatürk as its first president. Turkey is a democratic, secular, unitary, constitutional republic with a diverse cultural heritage. Its total area is close to 800.000 km2 and has a population close to 80 millions. Its capital city is Ankara, which is located in the middle of the Anatolia. 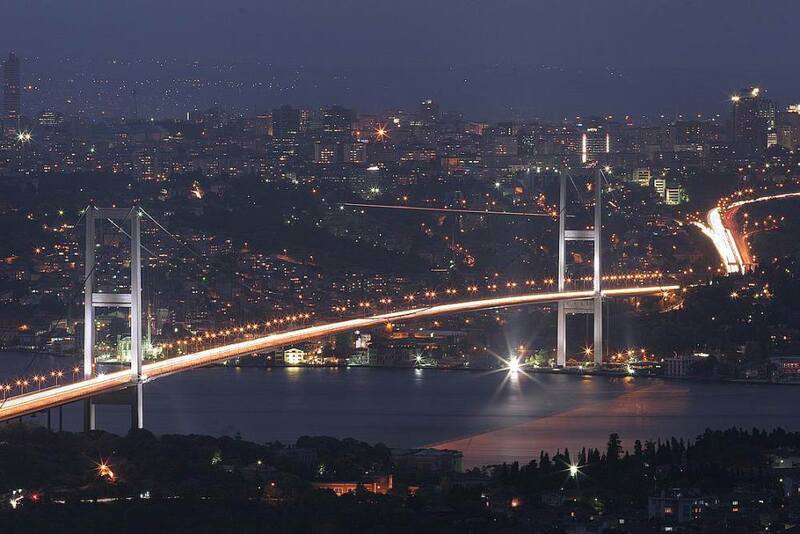 Its largest city by population is Istanbul, which straddles the Bosphorus. It served as the capital of four empires: the Roman Empire (330-395), the Byzantine Empire (395-1204 and 1261-1453), the Latin Empire (1204-1261), and the Ottoman Empire (1453-1922). Istanbul has a strategic importance in transportation. It is the only sea route between Black Sea and Mediterranean Sea. It connects Europe to Asia via its two bridges, and has an important place at road transport. Under the Vision 2023 (which corresponds to the hundredth anniversary of the establishment of Turkey), it plans to add another bridge, two sub-sea tunnels (one for rail transport, one for road transport), a canal between Black Sea and Marmara Sea. With other projects such as high-speed train network across Turkey, it plans to be a more effective and more important player in the transportation field. Under the Vision 2023, Turkish Civil Aviation sector is emerging to become a main player not only across the Euro-Asia region but also across the World. By 2023, Istanbul is expected to host more than 150 million passengers per year with the world’s third biggest airport. Turkish Flag Carrier will top 100 million passengers connecting six continents with more than 2000 daily flights to more than 350 flight destinations. By 2023, Turkey is aiming to not only have a five star air transportation forte but also engineering capability to design and build indigenous regional jets to serve the short-haul market, thus connecting more people than any other region within the World.